The key to hitting your fitness goals is to mix things up a bit as monotony can be the demise of any workout routine. That's why the CrossTrail with hassle-free Mechanical Disc Brakes comes equipped with everything you need to start exploring on- and off-road. The key to hitting your fitness goals is to mix things up a bit as monotony can be the demise of any workout routine. Thats why the CrossTrail with hassle-free Mechanical Disc Brakes comes equipped with everything you need to start exploring on- and off-road. It features a light and tough A1 Premium aluminium frame thats been designed with our Fitness Geometry so itll fit and feel like a dream right out of the box. Not stopping there we also included a suspension fork that successfully soaks up road imperfections when the going gets rough. And rounding off the package are a selection of strong no-fuss components and hassle-free mechanical disc brakes thatll see you spending more time riding and less time bleeding your brakes. Working with our Body Geometry team we designed a frame that strikes the optimal balance between comfort and efficiency. 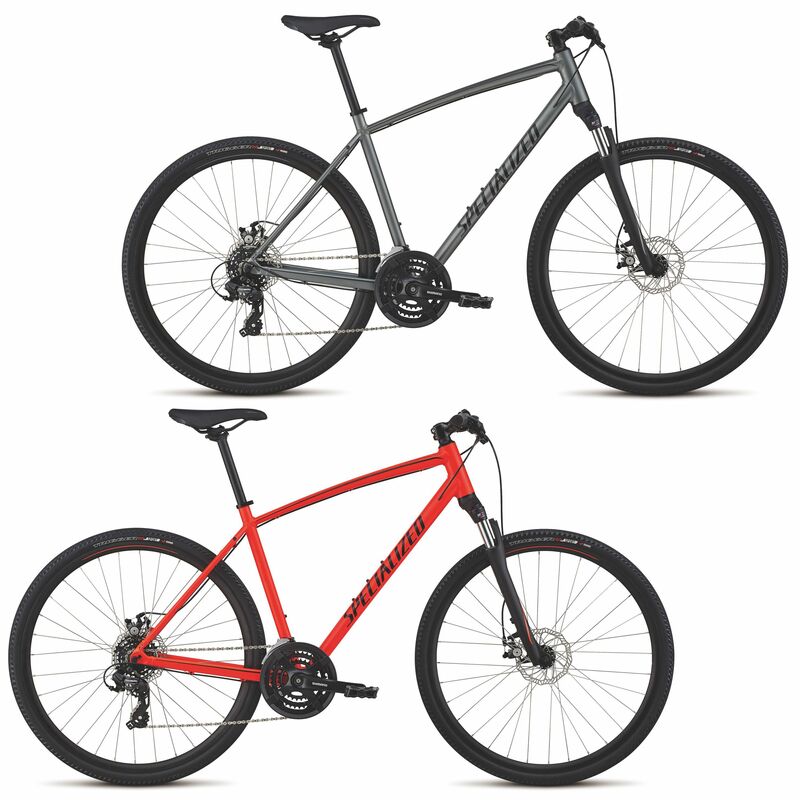 The A1 Premium aluminium construction pairs weight savings with rugged durability while the rack fender and disc mounts give you an incredibly versatile package. Enjoy greater control over varying terrain with a custom Multi-Circuit Damping fork with 60mm of travel thats tuned for the trail. Mechanical disc brakes provide reliable stopping power and hassle-free maintenance so youll be able to spend more time riding and less time adjusting those brakes. 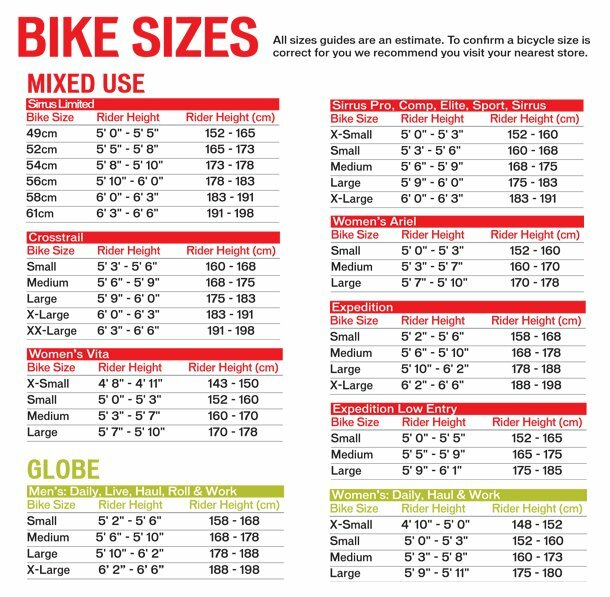 Please see below for delivery options for Specialized Crosstrail Mechanical Disc Sports Hybrid Bike 2019.